(Natural News) Neurodegenerative diseases like Alzheimer’s and Parkinson’s take a devastating toll on all whom they touch. Watching a once vibrant and healthy person’s mental and other faculties wasting away is one of the hardest things for any family to deal with, and there is no doubt that neurological diseases exact a heavy emotional, spiritual and financial price. What are MCTs? Wellness Mama explains that all fats are composed of hydrogen and carbon, but that their length varies according to the number of carbons they contain. Short chain fatty acids are those which have five or less carbons, while medium chain fats (or triglycerides) have between six and 12 and long chain fatty acids have more than 12. MCTs are easily digested and processed in the liver, unlike other fats which are metabolized through the same digestive process as other foods. They are a quick source of lasting energy and are easily absorbed by the body. MCT oils are made up of one or more of the following medium-chain fatty acids (MCFAs): caproic acid, caprylic acid, capric acid or lauric acid. MCFAs are usually extracted from either coconut or palm oil (though coconut is the better source), and also occur naturally in breastmilk, several types of dairy and in goats’ milk. Unlike other fats, MCTs do not require bile salts to be digested, and do not utilize extra energy during absorption, storage or use. Your brain cannot store energy and so needs a constant stream that’s usually supplied by blood glucose. But there’s a backup system for times your blood sugar gets low. When needed, your liver can break down stored body fat to produce ketones. Ketones readily cross the blood-brain barrier to provide instant energy to the brain. And while you can provide ketones for your brain by eating a very high-fat, low-carbohydrate ketogenic diet, you don’t have to. The medium-chain fats in MCT oil (and its source, coconut oil) raise the blood level of ketones, providing a convenient workaround. The important link between MCTs and brain health becomes obvious when one considers that breastmilk is packed with MCTs to facilitate the development of the baby’s brain. Studies have found that MCTs provide protections against neurodegenerative diseases like Alzheimer’s, dementia, stroke and epilepsy. Since MCT oil can provide extra fuel for brain cell repairs, some scientists believe that it could help delay brain aging. And one study found that MCT oil supplements can increase brain energy levels by up to nine percent. Another important way in which MCT oil can protect the brain lies in its ability to support healthy gut bacteria. Since the “good” bacteria in the gut produces many neurotransmitters, including 90 percent of serotonin and 50 percent of dopamine, it is essential to maintaining peak mental performance. 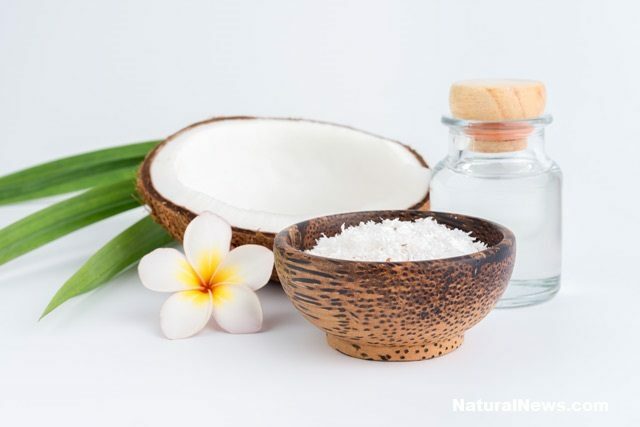 MCT can be taken as an oil supplement or can be found in smaller amounts (of lauric acid only) in coconut oil. Since it is virtually tasteless and odorless it is easy to add to smoothies, soups, sauces and drinks. Remember, though, that prevention is always better than cure. So, don’t wait until it’s too late; start supplementing with MCTs as soon as possible to maintain optimal cognitive function well on into old age. Learn more about brain aging at Alzheimers.news.